One of the world’s leading manufacturers of round, flat, shaped and profile wire is reporting a major increase in demand for high quality European or DFARS compliant stainless steel. Alloy Wire International (AWI) has seen new orders come in from clients in aerospace, nuclear, marine, petrochemical and spring makers, with many citing the firm’s unrivalled quality and ability to deliver anywhere in the world within a few weeks as being fundamental to their purchasing decisions. The company, which has two manufacturing facilities in the West Midlands and Yorkshire, currently produces 18 different grades of stainless steel, all available in special diameter tolerances, tensile strength ranges, surface finishes and packaging. 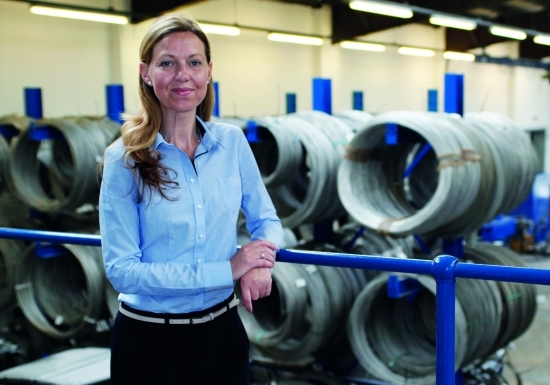 “Stainless Steel is very special to us,” explained Natalie Baker, Sales Executive at AWI. She continued: “Applications can be as diverse as ‘locking’ wire for aircraft engines to stainless steel wire for cutting honeycomb from a beehive. AWI, which is AS9100 ‘Aerospace and Defence’ accredited, has enjoyed another strong 12 months, consolidating market share in key territories and expanding its global reach to supply into 52 countries. It currently boasts 5000 customers across 15 different sectors and has recently expanded its range of different alloys to 60, including Hastelloy~, Phynox+, MP35N* and InconelÒ – all manufactured to the highest possible quality standards and available in a range of sizes and packaging options.